New emails in Microsoft Outlook can be very distracting, particularly if they are in a large volume. Constantly needing to check those new messages can really disrupt your workflow, which can cause projects to take longer than they should. Fortunately you have the ability to enter an “Offline” mode in the program, where Outlook will temporarily stop trying to download new messages. 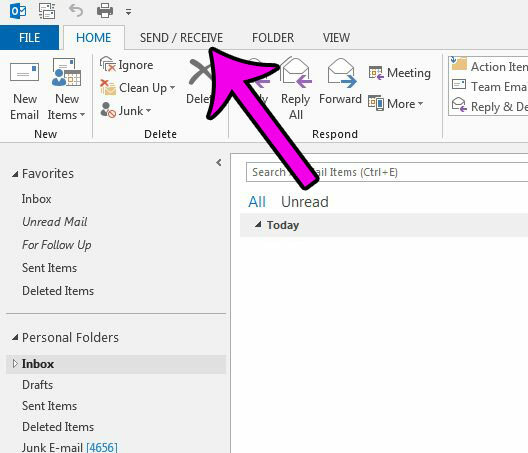 This can allow you to be more productive, while still leaving Outlook open in case your current task requires you to reference older email messages. Our guide below will show you how to enable Offline mode in Outlook 2013. The following steps are going to put Outlook 2013 into “Offline” mode. This means that it will terminate the connection to your email account’s server, thereby preventing the download or sending of new email messages until you disable the setting. So, if you are doing this as a temporary measure to ensure that you aren’t bothered for a short period of time, be sure to turn it back on when you are ready. Outlook 2013 indicates your offline status with a Working Offline message in the status bar, at the bottom-right corner of the window. 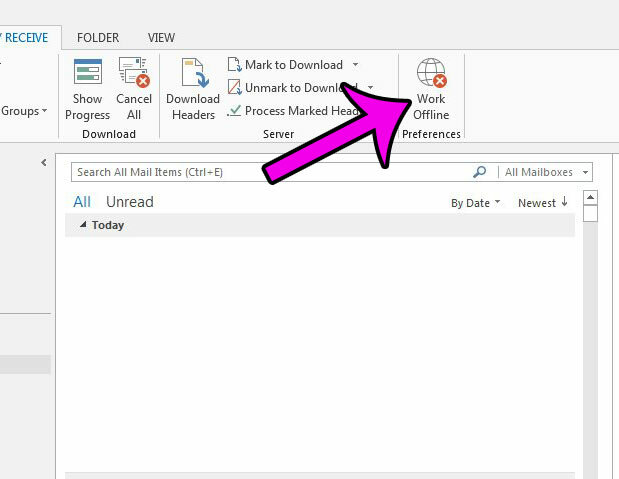 To return to “Online” mode in Outlook 2013, simply return to the location in Step 3 and click the Work Offline button again. Are you being bothered by the sound that plays every time you receive a new email message? You can turn off the new email notification sound and stop that little “ding” sound from ever playing again.